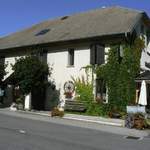 Peacefully situated between Lake Geneva and Lake Annecy in the French Alpine village of Aviernoz, where owners Roger and Suzanne (originally from the UK) welcome you. 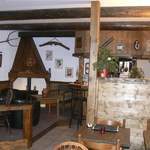 With a relaxed and informal atmosphere, popular with many visiting Bikers over the past 20 years. Eleven very comfortable en-suite rooms, for a variety of standard and superior accommodation. Start your day enjoying a wonderful ‘Camelia breakfast’ in the breakfast room or enjoying the morning sun on the breakfast terrace. In the evening, enjoy classic regional dishes prepared to an exceptionally high standard, and/or enjoy a quiet drink in the residents bar, where you can relax in the cosy ambiance, discuss the events of the day, plan tomorrow's adventures or simply be enthralled by one of Team Camelia's (Roger and Suzanne) many stories! In an ideal location to explore the French Alps and famous Alpine passes, to enjoy the clear, clean mountain air and to discover the beauty of this outstanding area. 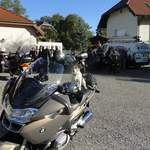 Roger, a Motorcycle enthusiast and current owner of a Yamaha Ténéré, is happy to take you around the local area and share his ride through the alpine spectacle. A short ride to Geneva, Switzerland and within two hours to Italy through the Monte Blanc Tunnel. A previous guest said “Many thanks to Sue & Roger for their hospitality and opening our eyes to the beauties of the Haute Savoie region. Thanks also for the several excursions into remote and scenic places. A very memorable holiday." Free Wi-Fi. Private parking. In Alpe d'Huez, one of the main mountains in the Tour de France, with lots of hairpin bends. 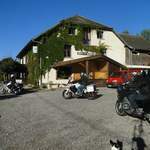 Drôme, Frankrijk, Rhône-Alpes, Biker Friendly Accommodation. Hotels, B&B, guest houses, cottages, hostels, camping. Ideal for touring!